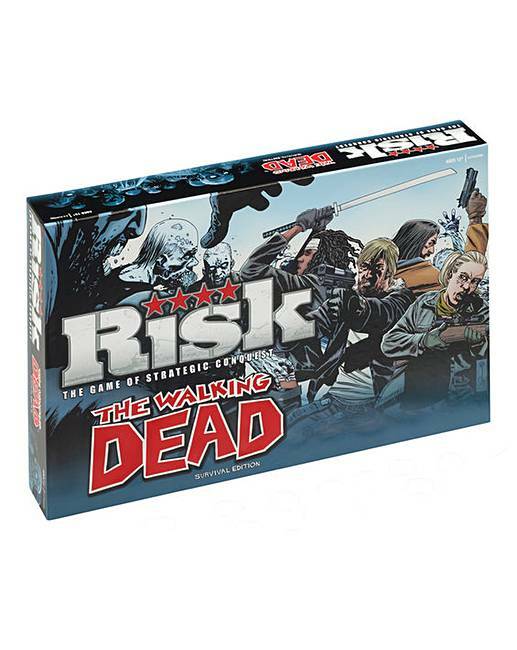 Risk - The Walking Dead. 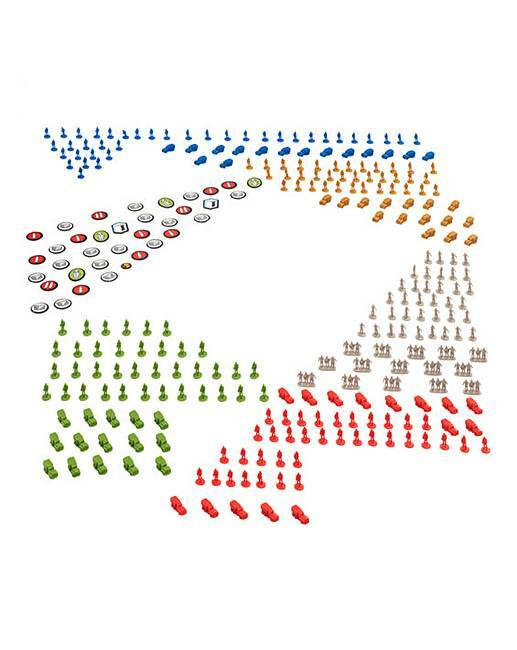 The world as we know it is over, as the Walkers spread and dominate the land. 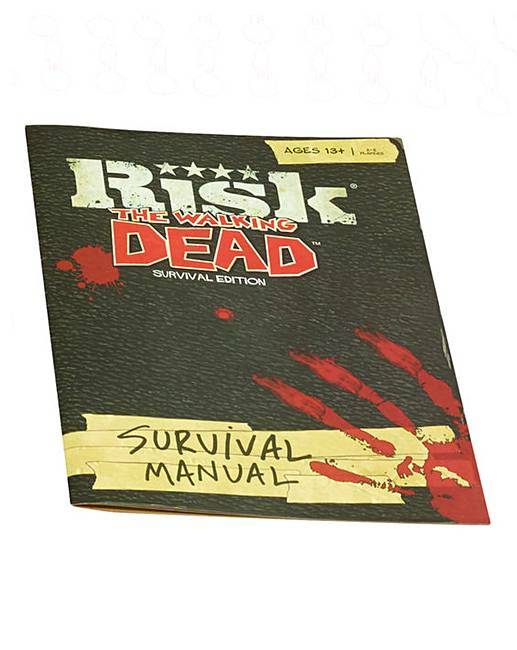 But a few pockets of humanity remain, surviving against all odds as they fight the diseased undead. 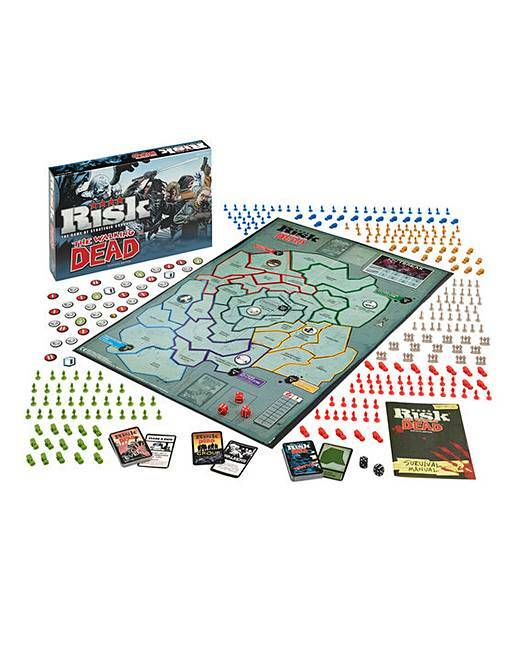 But a greater threat thrives in this apocalyptic land... each other. 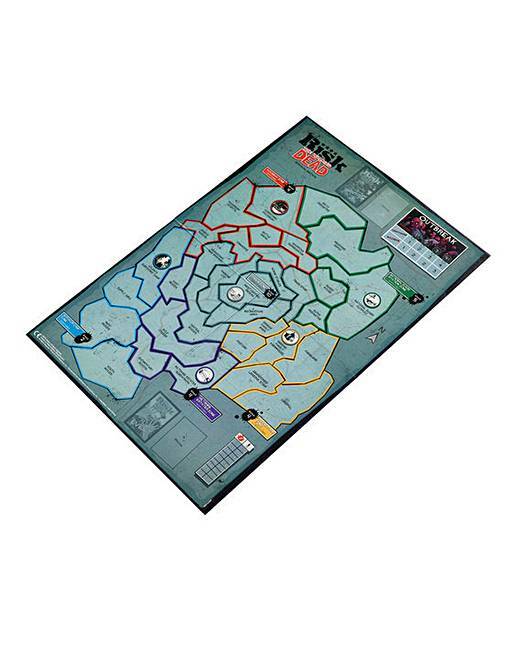 Play as one of several groups of survivors as you use your wits, strategy and a little bit of luck to protect your lands from intruders, conquer new territories and fend off the Walker army who also try and destroy your group. 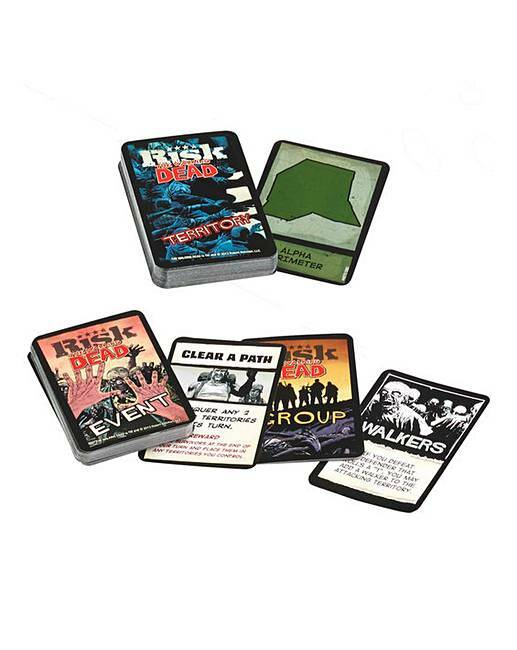 Use special cards and missions, extra weapons and all your cunning to survive against all odds.